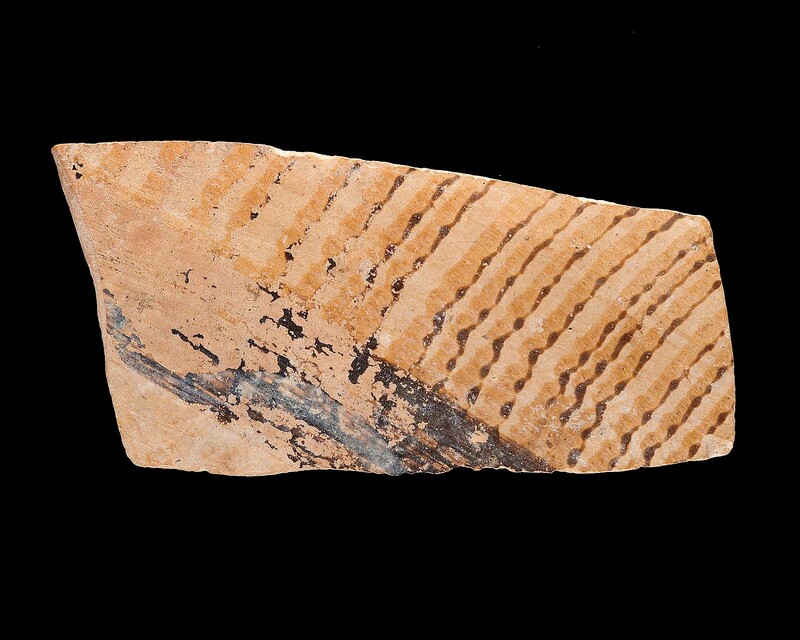 Jug fragment. Pink clay with buff slip; brown paint. Ripple pattern above thick horizontal band.